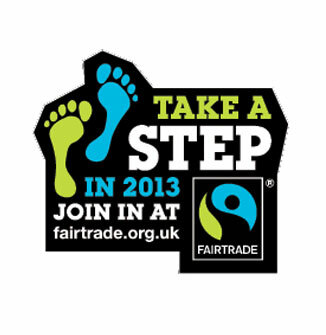 Fairtrade fortnight 2013 is just around the corner! Farmers in developing countries often struggle to provide for themselves and their families, especially in these uncertain times. Fairtrade provides them with the security of knowing they’ll receive a fair price for their produce. Help us make a difference! It only takes something small like changing the brand of tea or coffee (or even your health and beauty products!) you use that could ultimatley make a huge difference to somebody's life. fair naturally innovate with cotton! We are pleased to have developed the first ever Fairtrade certified cotton health and beauty products, which include a gorgeous handwash, hand cream, facial toner, facial cleanser & facial moisturiser. The range was developed to coincide with Fairtrade Fortnight (2011), whose theme is cotton! another first for fair naturally with walnut oil! We've been busy working away on our range of Fairtrade certified products, and found a great new ingredient to add to our Cocoa & Walnut range, which is walnut oil! Fairtrade walnut oil has traditionally only been used within the food industry, making us the very first company to use it in a beauty product! By creating a new demand for walnut oil, we believe we have helped the producer groups in Pakistan to further develop their businesses, prosperity and routes into new markets. This further shows fair naturally's dedication to helping producer groups in developing countries.